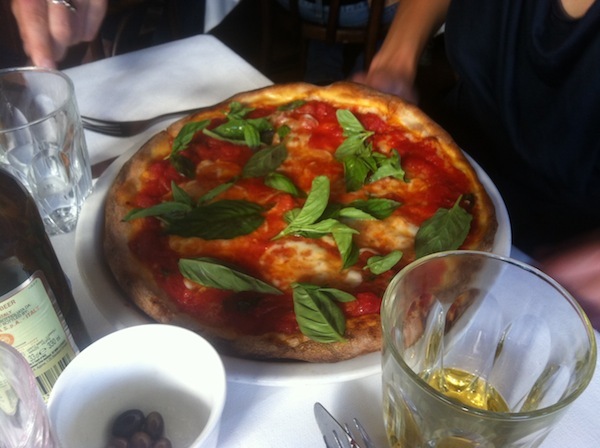 I Carusi II in St Kilda, happens to be in our top 10 favourite pizza restaurants in Melbourne. Given that most of their staff are native Italians, you can be sure you are getting an authentic pizza. However, the most important way of discerning a ‘great’ as opposed to ‘good’ pizza is by testing their Margherita. If one can master the flavourful simplicity of this dish then one has founded a true base for all good pizzas, I Carusi II is an example of this. We won’t lie, occasionally the sauce on the tomato based pizzas can get a little wet, but given the sauce is delicious and it’s not a regular occurrence – you can accept the extra sauce now and again. If you are wondering what to order (the menu is plentiful), the Margherita (tomato base, Fiore di Latte and Basil – $16) is a safe but sure option. If meat is your thing then we recommend the Bufalina with Prosciutto (tomato base, Buffalo mozzarella, basil and Prosciutto – $21) or the Caprese (tomato base, Fiore di Latte, soppressa, basil and fresh tomato – $17). For more options that are BIG on flavour, the Funghi Porcini (tomato base, mozzarella, Porcini mushrooms and Prosciutto – $19) or Quattro Formaggi (Tomato, Mozzarella, Fontina, Gorgonzola and Parmigiano – $18) are both lovely but not recommended on dates! Gluten free bases are available too for those allergic out there. More recently, I Carusi II took the business to a new level with a small, cosy bar upstairs. If it’s busy in the main restaurant and you need to wait for a table (realistic on weekends or Friday nights) you can start your night up at the bar with a lovely Italian red, a cocktail or some Aperitivo style nibbles. Dessert at I Carusi II is another ball game though, decadent little pizza bases shaped like little boats carrying all sorts of sugary cargo. 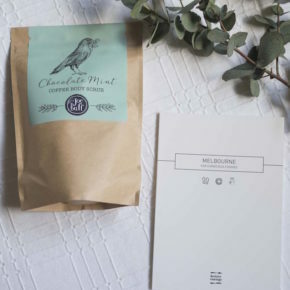 If you’re going to get on board then do it properly, the Strawberries and Dark chocolate is a winner ($9.50), but best shared. I Carusi II is a classic on the Melbourne pizza scene, low-key but full of atmosphere and a great choice for many occasions be it a date, catch up with friends or small family dinner. Bookings: Available and you can book online. Must try: The Margherita or Bufalina pizza, and if you like a little but of kick in your pizza then make sure you ask for the chilli oil. Notes: I Carusi II have also opened up a little aperitivo bar around the corner from their St Kilda restaurant, check out Sorsi e Morsi for little sips and bites. It’s a café during the day, serving breakfast and lunch. Aperitivo from 5pm onwards.